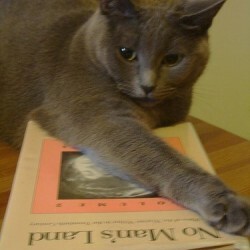 I admit that I felt very dubious about this book. What could be the point of a book about loving Middlemarch, I wondered? Many contemporary authors who love something go on to ruin it by publishing novels placed in the same world with the same characters, or putting the same characters in a slightly different world, or place the beloved author herself as a character in a story that mirrors those characters. Those books tend to be terrible. But My Life in Middlemarch is wonderful. 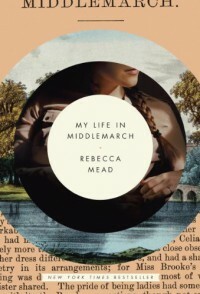 Rebecca Mead is a careful, thoughtful curator: she draws from letters, diaries, and numerous other materials to reconstruct George Eliot and her contempories in a way that feels fleshed out and full, not caricatured. She allows that it is not possible to know everything about these lives long past and doesn't try to; nor does she try to equate the characters with the real players in Eliot's life. Instead, the lives provide their own story, and the ways that the real story and the fictional narratives reflect on one another speak for themselves. Mead's own biography, when it appears in segues and brief details, serves as another layer of depth, not a superficial structure. Much of her story is steeped in nostalgia: as she travels to the residences where Eliot lived or cities where she visited, Mead remembers previous trips to those same places, and the distance between her adult life and her earlier life mirrors the relationship between Eliot the author and the characters she draws in Middlemarch. I found myself sympathetic and relating to those stories, and felt that the contemporary reflections enhanced rather than distracted from her research of Eliot's life and work.